CLARK COUNTY — Kids at two Clark County school districts will be back in class on this week, after the union representing their teachers reached a tentative deal on a new contract. Camas teachers had voted Aug. 27 to go on strike if a deal wasn’t reached in time for the scheduled start of school on Tuesday. 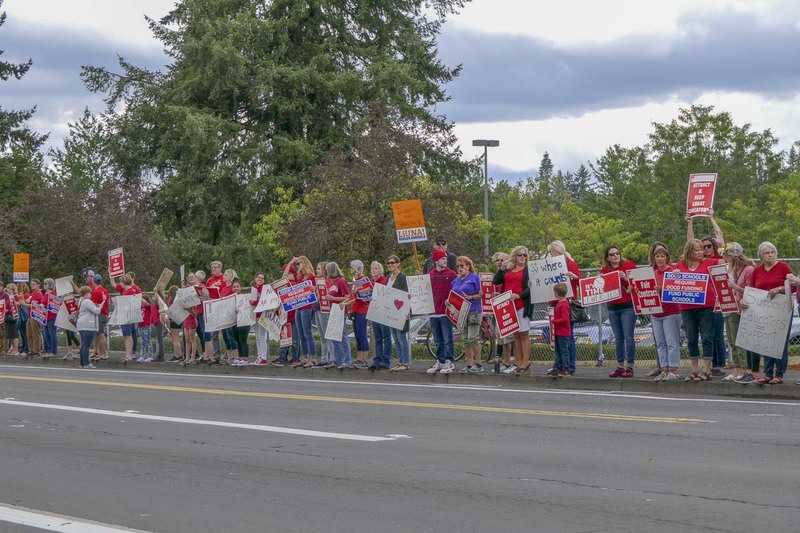 Sunday afternoon the district announced that a tentative agreement had been reached with Camas Education Association, which represents the district’s 452 certificated teachers. No details of the deal will be released until after teachers vote on it Monday. If approved, school would start on time Sept. 4. Sunday evening Vancouver Public Schools announced that it had reached a tentative deal with the Vancouver Education Association. Teachers in that district will vote on Tuesday whether or not to accept the deal. If they do, school would start on Wednesday, one week after the originally scheduled start date. The district is also not releasing details of the deal until after Monday’s teacher vote. In a statement on its Facebook page the VEA confirmed that a tentative deal was in place, but likewise did not release details. Due to the strike, the district is advising parents that the school calendar will need to be adjusted to make up for the days that were missed. The remaining school districts have reportedly been meeting with state mediators this weekend, but few updates have been released on whether progress is being made. ClarkCountyToday.com will be sure to post updates as news comes in.